There are times when you want to take a picture of your screen, or part of it. For example, if you see an error message or you want to report something wrong with your computer or software do a screen capture so the Techie can easily see what you are talking about. 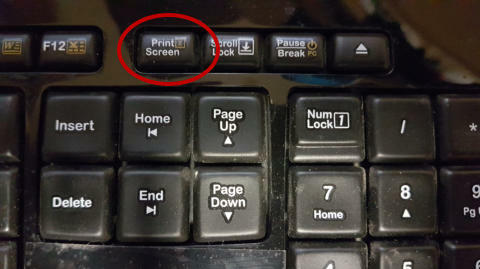 On standard keyboards sold in Australia is a Print Screen key. Pressing this key in Windows loads a copy of what is currently on your screen into the clipboard. When you press the key nothing appears to happen. Open an app such as a word processor, graphics program, Desk Top Publishing program and paste the clipboard.